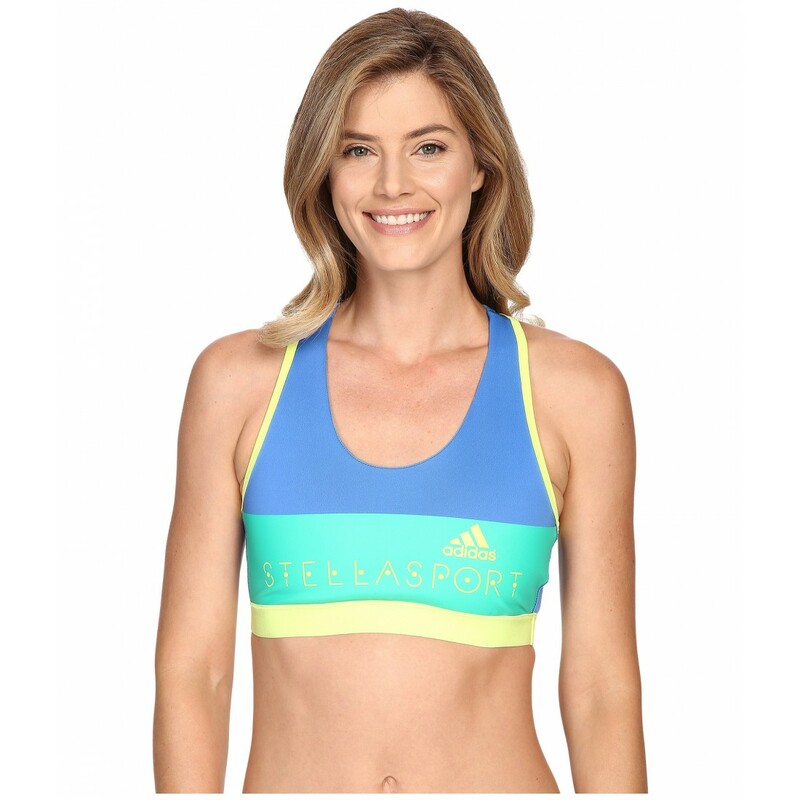 Toughen up in this adidas Sports bra. Color blocked throughout for a fashionable flair. Elastic under bust lends a supportive fit. Brand mark design at front.